On a recent visit to Balik Pulau in Penang, we found a silver smith, Mr Sent. 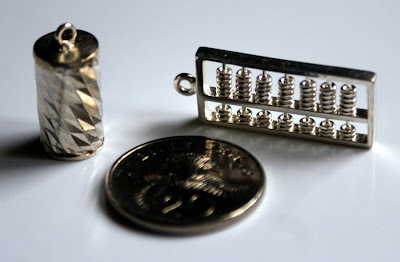 He has a couple of miniature designs he makes including this jar and abacus. The rings actually move. He also makes a wok which we will get on a future visit. 20 cent coin for size.